Sunday was a day to hang out on memory lane. Sweet corn, tomatoes, cucumbers and Donald Kaul. I bought sweet corn from a roadside stand and we had it for dinner with tomatoes and cucumbers from the garden, and thin slices of cheddar cheese from Vermont. At some point after our return to Iowa in 1993, I decided to outsource corn growing. It takes up too much space and what space could be devoted to it produced a small crop. It was a good decision. I cooked and froze the remainder of three dozen ears in two-cup portions in zip top bags. We revisited stories of our lives during and after dinner. How our cat would lick the cobs cleaned of corn kernels. How putting up corn had been a long tradition — a family project. How simple and good this year’s corn tasted compared to the past. The trick to eating sweet corn is knowing how much to eat without getting a belly ache. The first ear was buttered, then sprinkled with lemon pepper seasoning and a little salt. Three ears is a usual portion. I ate four and went light on the salt. There were no ill effects. 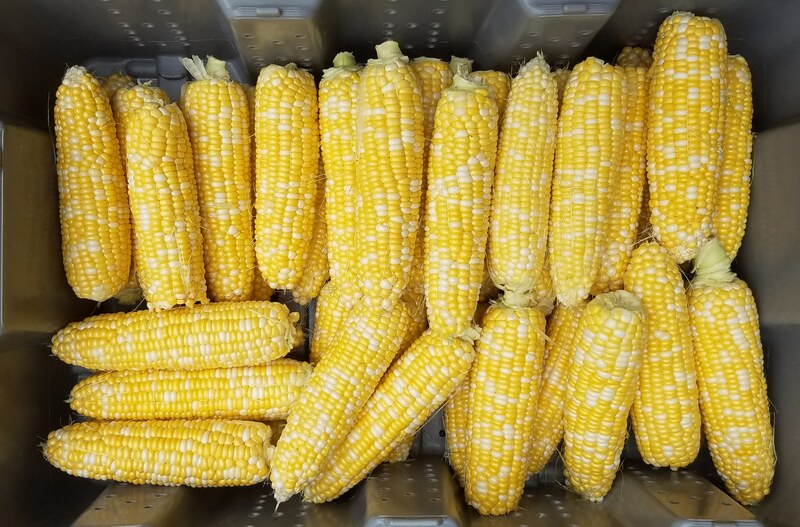 The arrival of sweet corn and tomatoes is the arrival of high summer. A short window — a couple of weeks max — when summer is good and we get a chance to be human again. That’s something we need in this turbulent world. In Iowa we also have the Register’s Annual Great Bike Ride Across Iowa, more commonly known as RAGBRAI, which began yesterday. Donald Kaul and John Karras were two Des Moines Register reporters behind the annual event. It was expected this year, and Kaul died of prostate cancer Sunday morning. The end came at 11:50 a.m., according to a local radio station. The narrative of this year’s RAGBRAI seems already written, and it doesn’t include Kaul. There is time for some show of recognition on the seven-day tour. We’ll see what happens. For me RAGBRAI was about the summer of 1973 when it started. An artist I met in Davenport invited me to her family’s home near the Catholic orphanage to meet her parents. Her brother was out in the garage when I met him too. He was talking about riding his bicycle across the state with the Des Moines Register. Over the Coffee, Kaul’s column, was popular in this household. Today people prepare for months for the long endurance test the annual ride has become. Specialized, lightweight bicycles, meal plans, and training. Not in 1973 when the sequence of events was 1. figure out how to get to the Missouri River with the bike; 2. tighten up the hub axle nuts; and 3. air up the tires. I can’t recall, but I don’t believe he even had a derailleur gear on his bike. It was pretty simple then and proved to be enduring. Kaul’s death on the beginning day of the 46th RAGBRAI is likely coincidence. In any case, he is memorable for his writing more than his promotion of bicycle riding. In high summer, after our dinner of sweet corn and tomatoes, my wife and I discussed our interactions with Donald Kaul. She got his autograph in a bookstore in Iowa City, and I corresponded with him when he was a Washington, D.C. correspondent for the Register. He was a constant part of our Iowa lives. That will still be true now he succumbed to cancer. 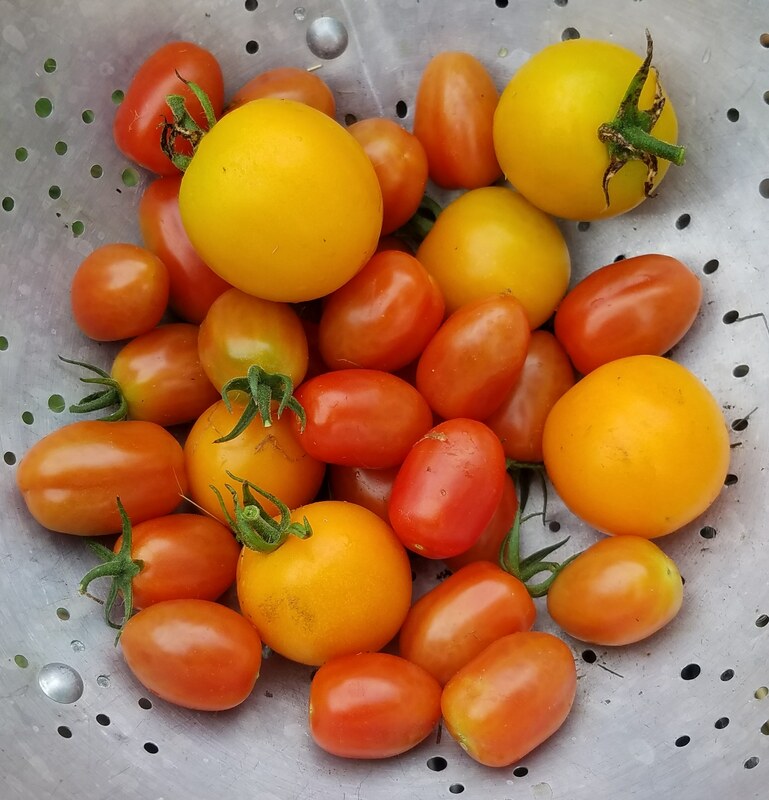 This entry was posted in Home Life, Local Food, Obituaries and tagged cooking, Garden, homelife, local food, obituary, summer, tomatoes. Bookmark the permalink.